1 March 2018 Unlocked content from the archive. After her Ampersand Prize-winning debut The Flywheel, Erin Gough’s second novel has been eagerly anticipated. 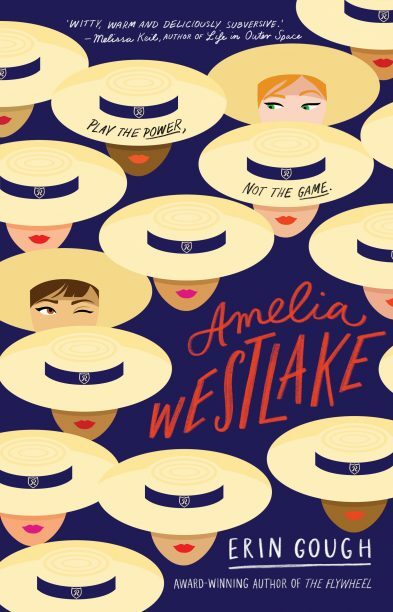 Amelia Westlake has been worth the wait. This is a brilliant social satire with a feminist vibe and two strong main characters whose voices alternate telling the story. Will, short for Wilhemina, is politically and socially active, a talented artist who moved to elite Rosemead Grammar after her parents split. Harriet is one of the elites; top of the class, school prefect and star tennis player, determined to win the Tawney Cup, like her mother and grandmother before her. When these two meet at detention, sparks fly. Together they produce a cartoon caricaturing the sports coach’s sleazy behaviour and submit it to the school paper under a pseudonym, Amelia Westlake, hoping it will get him sacked or at least reprimanded. Amelia Westlake soon takes on other causes, including staff favouritism and underuse of resources. But how long can they keep up the hoax before they get discovered? Meanwhile, without even noticing, these two very different girls are also falling in love. This smart, sassy novel skewers a range of issues including sexism, elitism and lack of diversity with a light touch, and features a diverse cast of secondary characters. Gough has created a clever, engaging feminist romp for readers aged 12 and up that is utterly unputdownable.